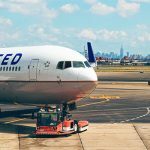 Medical personnel often associate locum tenens work with travel, and yes, through temporary healthcare staffing, the luxury of travel is absolutely an option. However, there’s more to locum tenens than that. Think of a locum tenens career as a license to create the professional and personal path that’s right for you. The demand for nurse practitioners (which is definitely on the rise!) provides a range of opportunities for those who desire a strong work-life balance. Locum tenens NPs have the ability put their personal priorities and needs first, and then find a job that still allows them to flourish professionally. Many of the nurse practitioners we recruit choose to only work in their local region. Each NP has his or her own reasons. Here are some of the most common. Family is the top reason our locum tenens nurse practitioners choose to work locally. Many opt to work three days a week because they are raising children or simply want to enjoy as much family time as possible. 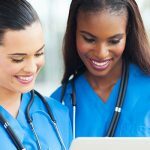 The expectation of being on call or constantly in the office is not something they want on their agenda, and the good news is they are still able to make a steady, stable income through locum tenens jobs. When you control the hours of your primary position, a wide window of opportunity can open for nurse practitioners to pursue other sources of revenue that aren’t standard clinical positions. NPs can be online professors, consultants for universities, clinical writers or editors, legal nurse practitioner consultants, and more. Some have even started their own businesses they run when they’re off the clock. As you advance into your nurse practitioner career, you may experience a need to simply enjoy other aspects of life. For many healthcare providers, leisure time is important to avoiding burnout while still maintaining a love of medicine. If you need to take the time to focus on being healthy and happy but still want a fulfilling career where you can make a difference, locum tenens work could be a nice fit. As you can see, locum tenens doesn’t mean you have to travel. The allure of being selective with your medical career in order to fulfill or enjoy other priorities in life is undeniable. See our nurse practitioner job listings or speak to a healthcare staffing recruiter at TinkBird to take charge of your possibilities.